Ever wanting to be seen as the cool guy, Apple has partnered with social networking site Bebo. The deal forges links between the iTunes Store and the UK and Ireland Bebo community, with the aim of selling more music. Links will be embedded into the profiles of musicians that will show albums and songs being sold through the iTunes Store. 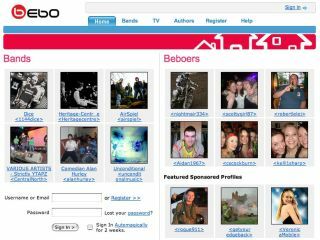 It's estimated that as many as half a million musicians are listed on Bebo, which will seek to drive people to its site by giving away a free Bebo single of the week. If the move is successful, it will go international to Bebo's 25 million user-base. Apple will likely want to target social networking sites for pushing iTunes. The teenage profile of social networking users is similar to that using Peer-to-Peer (P2P) networks for illegal downloading. Like many other established players, Apple has been slow to react to the growth in social networking as a source for revenue gain. However, sites such as Facebook are now seeing the benefit in letting companies advertise on them and have a greater presence on user profiles.